Price HC, Holman RR, Levy JC, Ayyagari U. 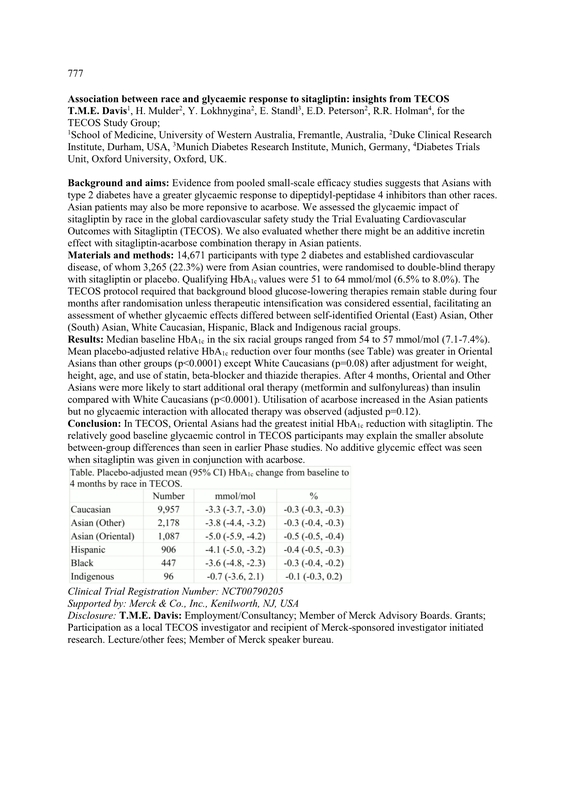 Do Glycoalbumin Levels Preferentially Reflect Postprandial Glucose Excursions? Price HC, Kennedy I, Clarke PM, Gray AM and Holman RR. Davies MJ, Levy JC, Thorne KI, Paul SK, Darbyshire JL, Holman RR. 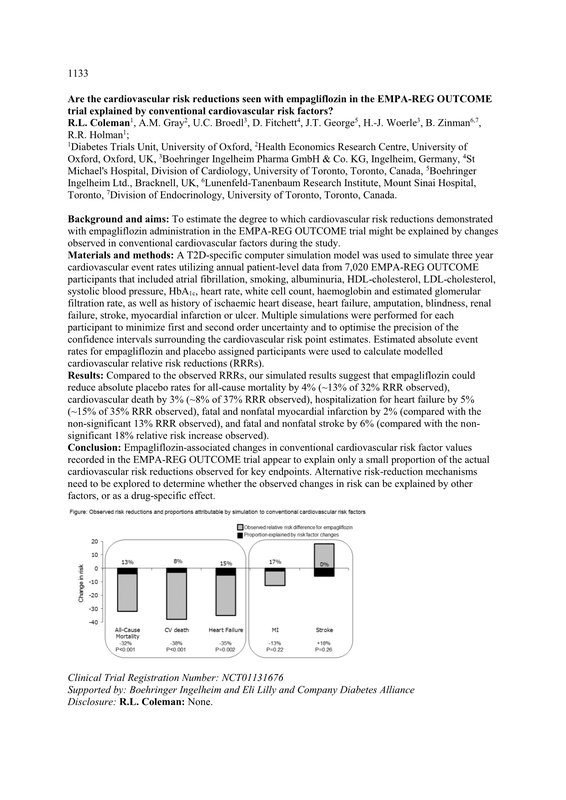 Does metformin prevent cardiovascular events? 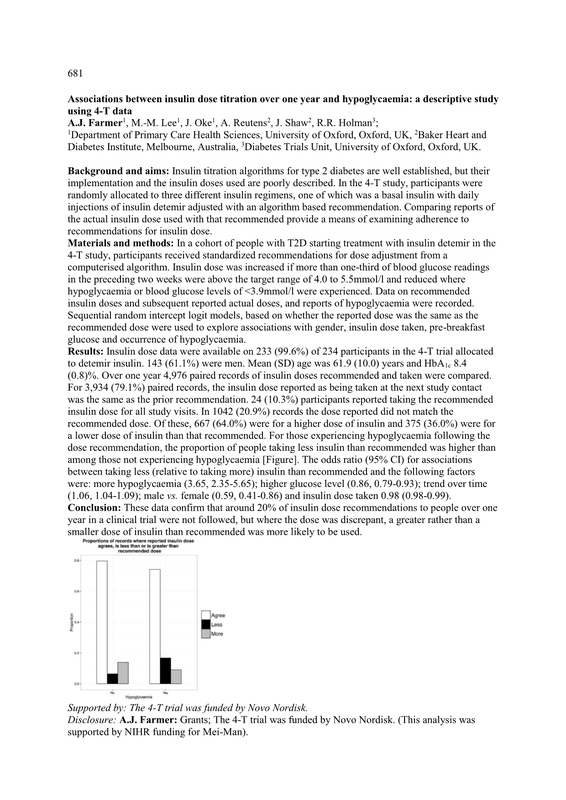 The expanding evidence base - what have we added to our understanding of diabetes disease modification? 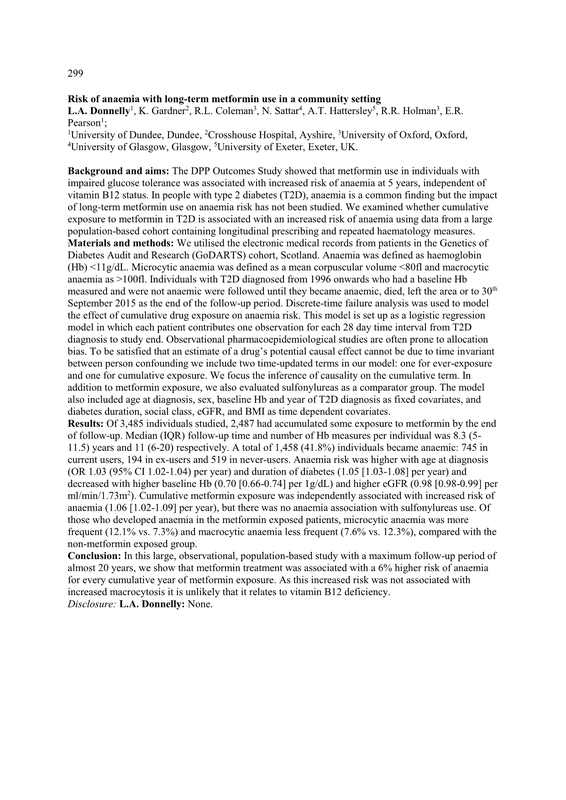 Life-expectancy in Individuals with Type 2 Diabetes: Implications for Annuities. 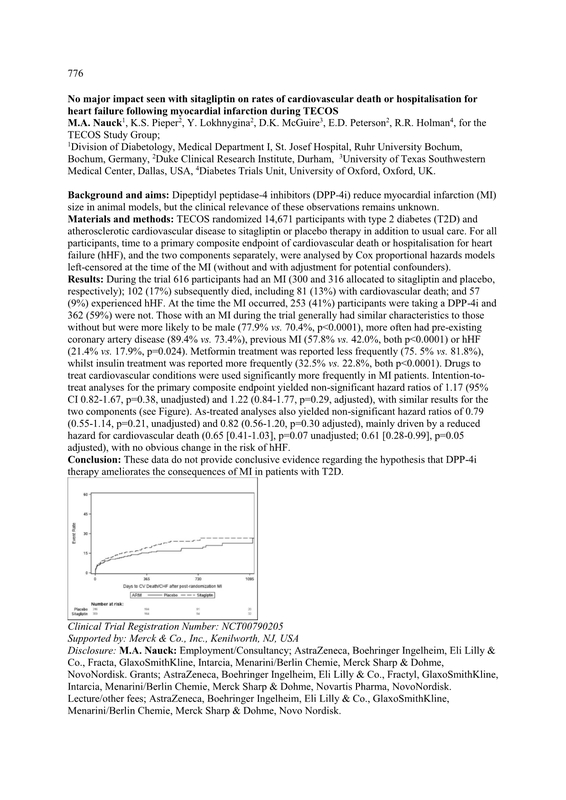 Framingham Equations Underestimate Cardiovascular Risk Compared with the UKPDS Risk Engine in People with Type 2 Diabetes. Are measures of adiposity associated independently with incident cardiovascular disease in individuals with newly diagnosed type 2 diabetes? Estimating Risk of Clinically Evident Retinopathy in Type 2 Diabetes. 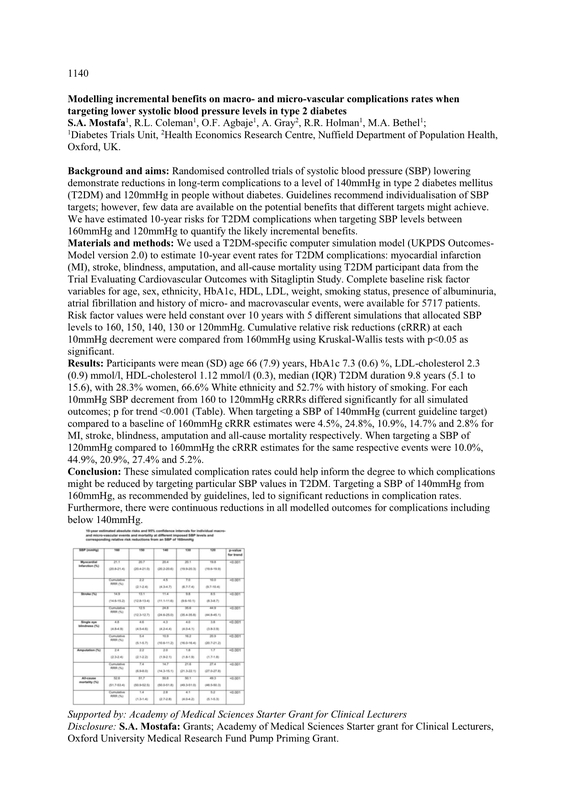 Could non-HDL cholesterol replace total/HDL cholesterol ratio to estimate coronary heart disease risk in the UKPDS risk engine? Are different clinical practice guidelines associated with regional differences in diabetes care? 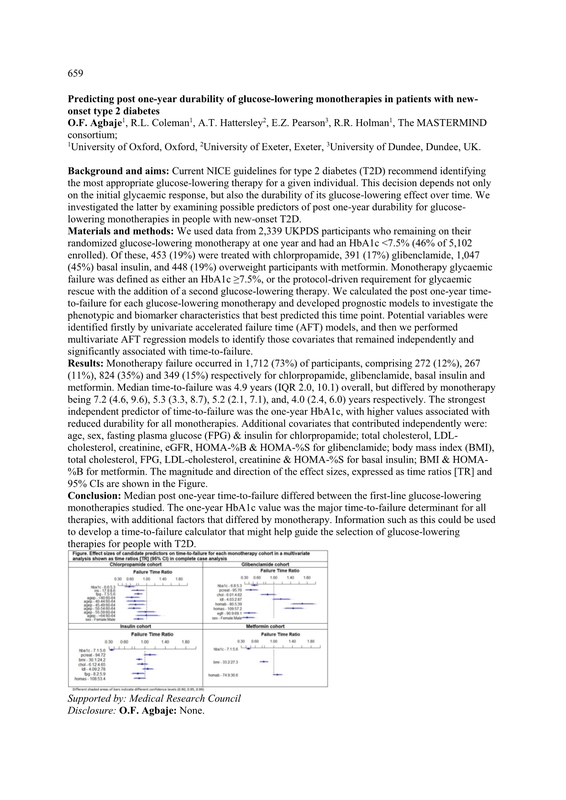 Prevalence and clinical significance of glutamic acid decarboxylase (GAD) antibodies in recently diagnosed type 2 diabetes in the ADOPT study cohort. 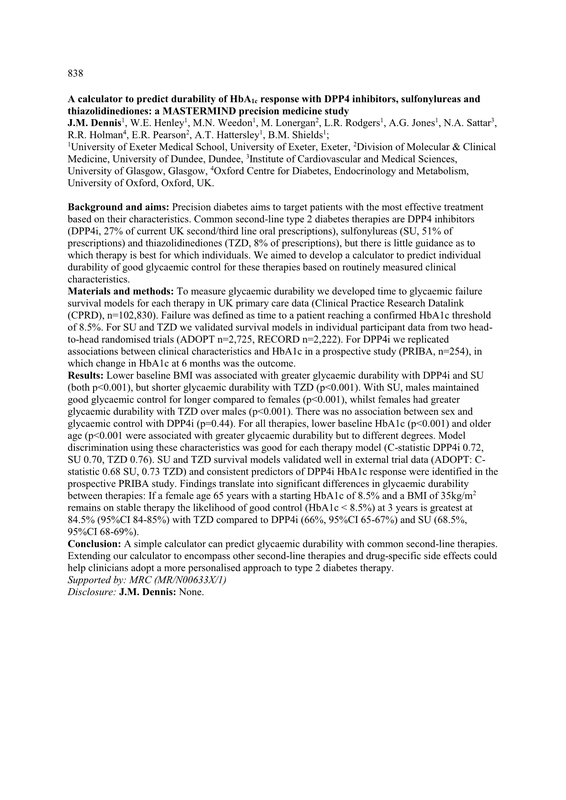 The Glycaemic Optimisation Outcomes in Diabetes (GOOD) feasibility study: early use of combination therapies and insulin in general practice. 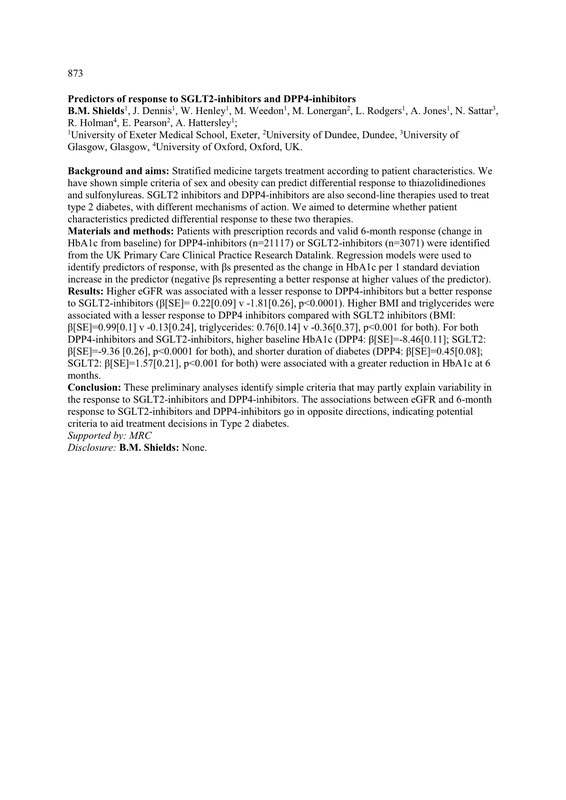 Diabetes in families study: The insulin resistance syndrome segregates into 5 underlying factors in non-diabetic siblings of type 2 diabetic patients. Hyperglycaemic siblings of type 2 diabetic patients have greater central obesity than their normoglycaemic siblings but similar physical activity indices. 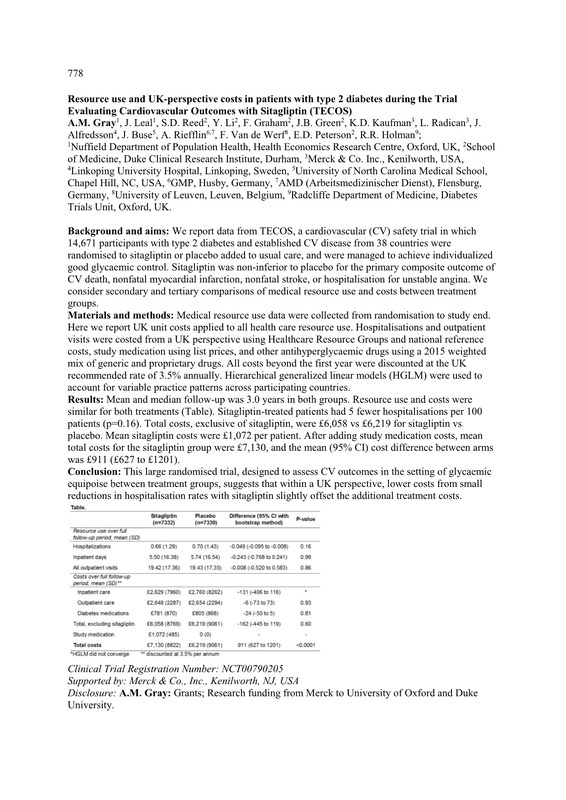 Retinopathy in subjects with increased fasting plasma glucose levels.